[FAQ] How to extend the life of fiber laser cutting machine? [FAQ] How to effectively avoid the radiation of fiber laser cutting machine? Workers must pay attention to safety when operating the fiber laser cutting machine. Food machinery is one of the products that are in direct contact with food processing. Its quality directly affects food safety.The traditional processing method is low efficiency, high mold cost.Compared with traditional processing technology, fiber laser cutting machine has many advantages. 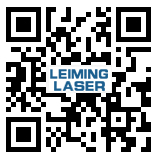 The purpose of fiber laser marking machine is to improve productivity to the enterprise. So how to improve the marking speed of metal laser marking machine? [FAQ] Why the water temperature rises rapidly of fiber laser cutting machine? Water plays a key role in metal laser cutting machines.When using fiber laser cutting machine, sometimes there is a phenomenon that the water temperature rises too fast.What are the reasons for this phenomenon? The cutting quality of fiber laser cutter machine is a matter of concern to the customers. If you want to cut a satisfactory sample, you need to use the laser cutting machine scientifically.